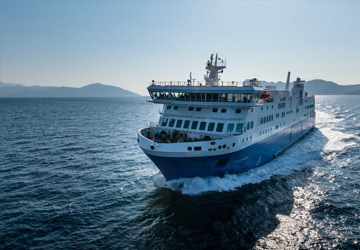 The Santa Teresa di Gallura Bonifacio ferry route connects Sardinia with Corsica and is currently operated by 2 ferry companies. 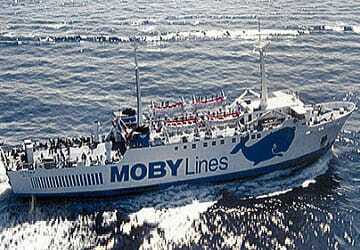 The Moby Lines service runs up to 4 times per day with a sailing duration of around 50 minutes while the Blu Navy service runs up to 4 times per day with a duration from 1 hr. So that’s a combined 56 sailings on offer per week on the Santa Teresa di Gallura Bonifacio route between Sardinia and Corsica. Compare now and get the best fare at the time that you want to travel. Prices shown represent the average one way price paid by our customers. The most common booking on the Santa Teresa di Gallura Bonifacio route is a car and 2 passengers. 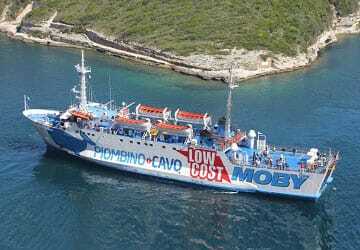 This is a perfectly good service to go from Sardinia to Corsica or vice versa. We actually travelled from Palermo to Toulon, island hopping using this and other ferries. All very good and all easily bookable on line. 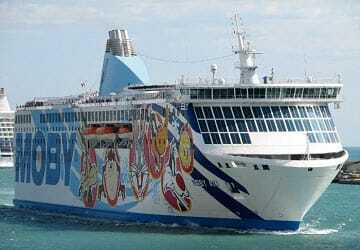 This one is very short so the ship reflects this but on and off proceedures are smooth and staff very helpful. Our experience is as foot passengers so I cannot speak for those with cars. But loading proceedures seemed to go smoothly on the day we crossed. The only annoying thing was that I have to swap the booking confirmation witht the ticket at the ticket office. Santa Teresa Gallura is a town located on the northern tip of the Italian island of Sardinia, on the Strait of Bonifacio. From the town's two beaches the southern coast of Corsica can clearly be seen. There are a number of tourist shops in the main town square although it should be noted that many are closed during the winter months. Rena Bianca, Santa Teresa's main beach, is located to the north of the town and is always crowded in the summer with tourists and locals enjoying the warm, crystal clear waters. Popular tourist attractions in the town include the 16th century Longosardo Tower which was built on a rocky headland overlooking the sea. It was built during the Aragonese period and has lovely views of the Bay of Porto Longone and the white cliffs that surround the Corsican city of Bonifacio. To the left, the coast descends towards the beach of Rena Bianca which ends a short distance from the cliffs of the "Isola Monica", where traces of abandoned caves remain. Under Roman rule, the deep natural harbour of Santa Teresa Gallura port, was Sardinia's main port. The modern port is one of the most modern ports in the region and provides regular ferry services between Sardinia and Corsica. Bonifacio is a city located on the southern tip of the French island of Corsica. It lies on the Mediterranean Sea coast and is separated from the Italian island of Sardinia by the Strait of Bonifacio, which is around 11 km wide. The city, which is home to the island's only harbour on the south coast, is a popular visitor destination during the summer who flock to the city's beaches and also because of its historical monuments which include Torra di Sponsaglia, Torra di Saint' Amanza, Eglise Sainte-Majeure de Bonifacio and Eglise Saint-Dominique de Bonifacio. There are two important prehistoric sites near to the city. The chambered tomb of Vasculacciu which is located near Figari to the north of the city and belongs to the Megalithic Culture and dates back to the Middle Neolithic. The second is the ancient cave shelter of Araguina-Sennola near the village of Capello which is the site of the Lady of Bonifacio, a female burial site carbon dated to around 6570 BC, and is either late Mesolithic and Early Neolithic. The alignment of the two and the extensive use of chert from Monte Arci in Sardinia shows that the Bay of Bonifacio was a route to inland Corsica from the earliest times.